I found this old black & white I took when on a boy scout trip some 45 odd years ago. 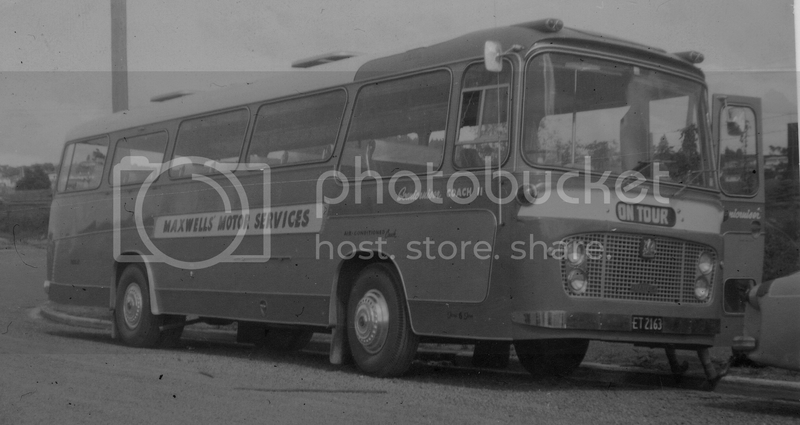 I was amused to see that Maxwell's Motor Services named their Bedford VAM, "Scenicruiser". ......which was a rear engine diesel with tandem drive. Power was by V8 Detroit two-stroke, although initial production example of the PD 4501 (which was its official title) used two 4 cylinder Detroits linked together as the bus was ready for the road before Detroit had their V8s fully signed off. 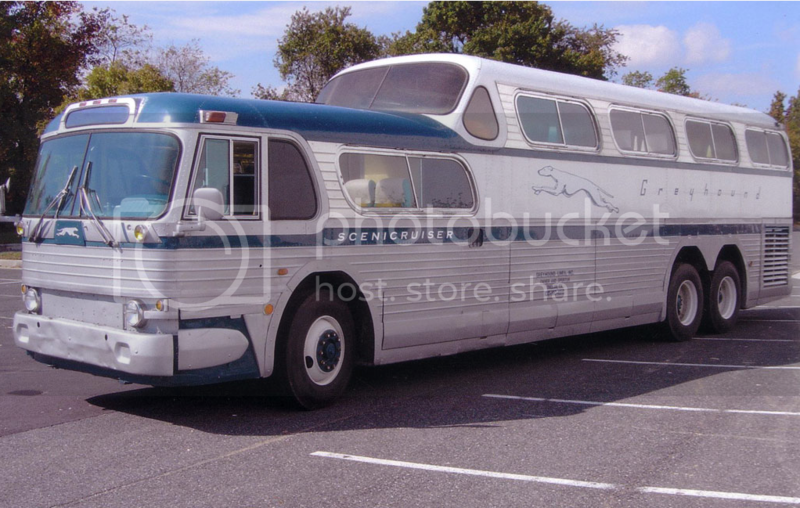 The Bedford had seating for 40, while the GM Scenicruiser seated 43 and included an on-board toilet. More from the Classic Car Museum.